The end of the snow has given way to warmer weather, and while it’s a little early to speak of spring there’s definitely an optimistic feeling about this week’s great charity contributions. Momentum really builds up at this time of year as announcements and preparations are made for fundraising in the months ahead - please let us know your plans by emailing press@estateagenttoday.co.uk and letting us spread the word. Agents Giving/Trussell Trust Foodbanks: The industry’s own Agents Giving charity is continuing its support of The Trussell Trust, to encourage agents and suppliers to support and help combat poverty. It’s natural that most people think of food items when collecting for their local foodbank but it is also toiletries and hygiene products which are also extremely important but Agents Giving says other important items are baby supplies such as nappies, baby wipes, toiletries and baby food to help expectant mothers in need. 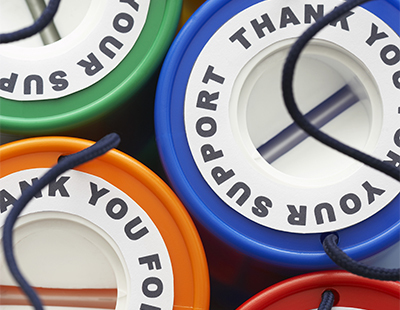 The Paramount agency in London’s West Hampstead uses its office as a collection point for donations and has organised events to raise funds, supplies and donations for the Brent Foodbank. Reagan Bradley, operations director of Paramount, says: “We are an office with many parents, and being a parent-to-be the importance of these vital items can’t be underestimated. Providing a baby bath of essentials enables a new mother to have one less thing to worry about in an already stressful time”. Find your local foodbank and see what items they require & share with us which foodbank you are supporting and any collection photos. 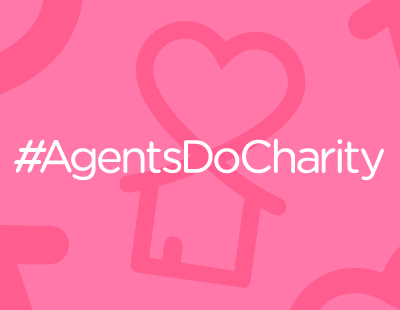 For full information on how to get involved with this initiative, please visit the Agents Giving website. CHESS: Beresfords latest charity appeal comes in the form of an open air sleep out to raise awareness and funds for homeless charity CHESS. Beresfords events manager Nicki Treffers says: “It’s easy to get complacent and take it for granted that everybody has a home to go to. We wanted to highlight that there are many people that do not have this basic human right, especially as the weather turns cold it really does make you take time out to reflect. All proceeds will go to CHESS Chelmsford, a local charity who aim to relieve homelessness and related hardship across the county through the provision of support services and temporary accommodation. The event is taking place on March 2 from 8pm to 7am in Chelmsford City Cathedral Grounds. For more details contact n.treffers@beresfords.co.uk or to make a donation go to: www.beresfords.co.uk. Anthony Nolan: London agency Marsh & Parsons is raising funds for blood cancer charity Anthony Nolan throughout 2019. 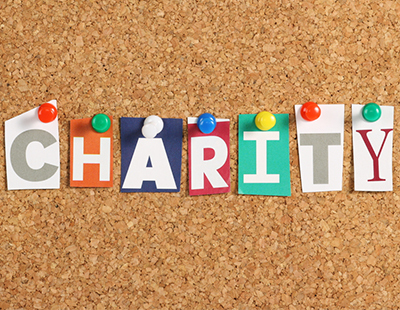 It aims to generate £25,000 by spearheading corporate and individual fundraising initiatives. Since 1974, Anthony Nolan has matched over 18,000 people in desperate need of a transplant with donors, giving patients and their families a second chance of life. Chest Heart & Stroke/SAMH: Staff at chartered surveyors firm DM Hall have chosen two leading Scottish charities, Chest Heart & Stroke Scotland and SAMH (Scottish Association for Mental Health) to be the firm’s charity partners for the two years to December 2020. Around since 1923, SAMH currently operates over 60 services in communities across Scotland providing mental health social care support, addictions and employment services, among others. Chest Heart & Stroke Scotland supports people and their families affected by chest, heart and stroke conditions to take back their lives, regain their confidence and independence. Fine & Country Foundation: The foundation, a homeless charity established by Fine & Country estate agents, has joined AmazonSmile in an effort to raise donations for their grant programmes in spring and autumn. Customers can link their accounts on smile.amazon.co.uk and in return, Amazon will donate 0.5 per cent of net purchases to a chosen charity. African Womens Aid: Finally this week, congratulations to the ever-enterprising Wirral estate agency Karl Tatler which has donated computer equipment to this charity. You can find out more about what it does here.